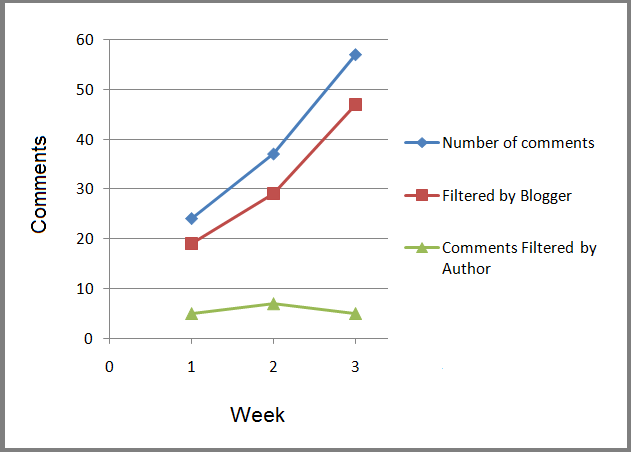 Comments are by far the most important and the most useful social media engagement technique used in blogs. A comment has the ability to spark a discussion and give a new meaning altogether to the article. A comment can motivate the author and can also act as a critic thereby controlling the quality of the articles proceeding. But there is a downside to commenting scenario. Most blogs do not allow anonymous commenting; this is because of the extra time and energy they will have to spend in moderating the comments if they allow. So they ask the reader to login or register with the website to post a comment. Or they would ask the visitor to leave their email id, which is again no cool for the reader. A casual reader who wants to show his appreciation for the exemplary work done by the author, cannot do so if he/she is pestered by the site before leaving a comment. True comment is always extempore. An ideal situation is that the reader goes through the complete article and reaches the end. After reading the article he is tempted to post a comment. He just writes it and posts it. The comment is published and the user is happy. Such is the case with anonymous posting. The following is a case study on how a simple method was enough to stop spammers and give more readers to the blog as a side effect. Codemakit had some problems in the past regarding lower comments. As is evident, low or no comments give ‘low quality’ jibes to the readers. So to increase the comments and increase the social interaction at the website, codemakit started anonymous comment. In short anyone who knew how to read and write could write just about anything in the comment box. 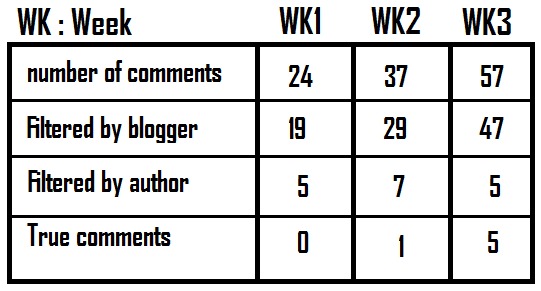 The first day, codemakit received 24 comments all of which were basically spam. The number reached 57 on the third day and was not stopping. The only thing standing between a spam comment and unsuspecting readers was the blogger’s comment filter which did its best in keeping spammers at bay. It was sufficiently clear, why websites do not keep anonymous comments. It was becoming simply impossible to keep up with such large numbers. 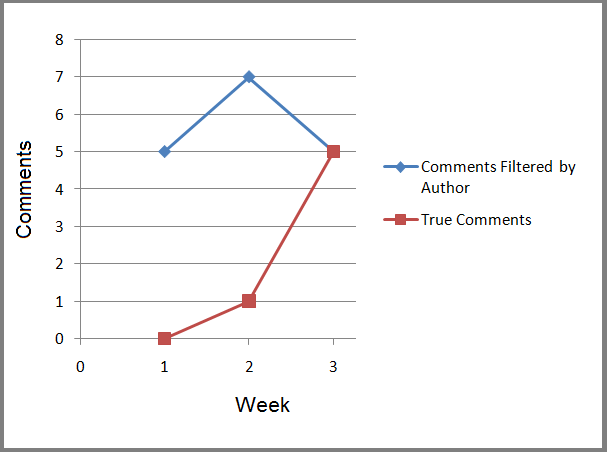 The process of comment moderation took more than an hour daily, which ate up the time required in the maintenance of the website. Each and every comment had to be read properly before coming to any conclusion. Some were straightaway spam which could not be filtered by blogger’s systems whereas some were cloaked up pretty good and some were even funny. But there was a plus side, the true or legitimate comments increased to five on the third day. As the days crept on, it was becoming increasingly difficult to moderate comments in such huge numbers. From SEO’s perspective, if a particular article has a PageRank of suppose 3, then this will be distributed to each and every link hosted on the page. So in short codemakit was leaking PageRank to the hyperlinks in the comments. One solution to the SEO problem was to hire personnel for filtering spam, which was expensive. Also you cannot post an ad on a newspaper or a website saying, "Wanted, an enthusiastic and intelligent individual for sorting spam at my petty little blog! I'll pay you in installments :-)"
Solution Two, Another solution was to hire a freelancer, which was too convoluted solution for such a simple problem. The blog at that time was a one person project which obviously didn't need another person just to sort spams. The third solution was finally implemented. So the SEO problem was resolved (i.e. the rankings of the website will not be affected due to the low quality links in the comments section. But another problem on the softer side was too large to be overlooked. What will happen to the image of the blog when readers see fifteen to twenty comments, most of which are spam? This will affect the image of webmaster and the blog. So the second problem which floated was that comment moderation was still needed. One unique solution was to display a custom message instead of the default ‘Thanks for your comments’, another message was planned thinking if spammers are warned that their tactics will not work here, may be they'll stop. The message was specially crafted keeping in mind the mentality of spammers. Since blogger does not allow any hyperlink in the message section. The URL of the methodology of adding NoFollow attribute was also added. Another important thing included in the particular webpage was a proof that Nofollow was added to the comments section with the help of a Firefox add-on. 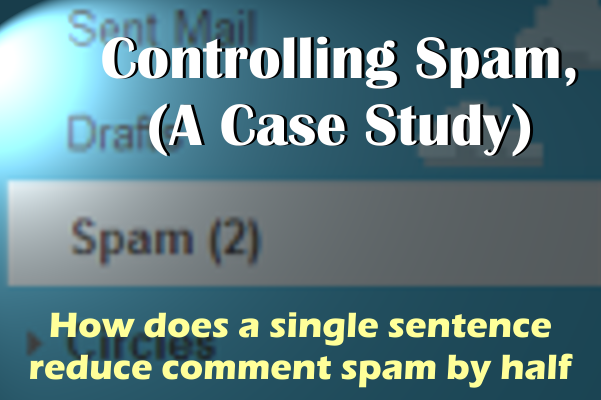 It was thought that spammers who once add a spam comment would be greeted with the particular message and this would deter them from adding any more comments. But, the particular solution did more than what was expected. The comments reduced to just the legitimate ones and since the message was displayed, there was not a single spam comment on the webpage. The Number of true or legitimate comments actually increased and so did the total number of comments. Another side effect of the message being displayed was an unusual increase in the visitors of the website. It is not wrong to say that nearly each and every visitor of the NoFollow Webpage within 3 to 4 days were all spammers. The webpage which received 200 visitors in 15 days received 2300 visitors in just 2 days. The following are the screenshots of the anomalies observed on the site. The particular article on adding a NoFollow attribute became famous overnight, garnering 3075 followers in just 3 days. It even surpassed the previous most read articles like remove youtube logo from embedded videos and Animated Flash Tag Cloud or even the article on Faults in your SEO and how to rectify it. 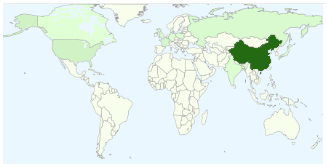 The peak observed was pretty amazing as the site had never encountered such amount of traffic before. 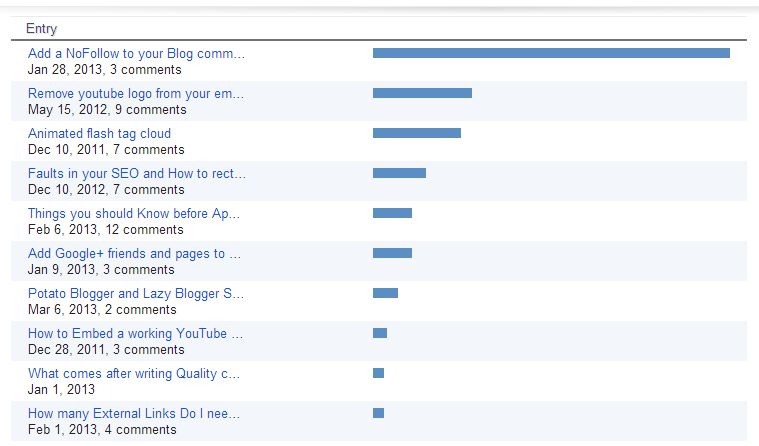 The following is a screenshot from blogger dashboard. So in a nutshell the complete procedure did more good than expected and can be used by webmasters for their respective websites. Try this and post your anonymous comments. I'm sure we'll be thrilled to receive your results.